NAOMI KLEIN is an award-winning journalist, syndicated columnist and author of the New York Times and international bestsellers, No is Not Enough: Resisting Trump’s Shock Politics and Winning the World We Need (2017), This Changes Everything: Capitalism vs The Climate (2014), The Shock Doctrine: The Rise of Disaster Capitalism (2007) and No Logo (2000). No Is Not Enough was an instant New York Times bestseller, debuting at #2 on the Nonfiction list, and is being translated into over 15 languages. It was longlisted for the 2017 National Book Award for Non Fiction in the US. This Changes Everything won the 2014 Hilary Weston Writers’ Trust Prize for Nonfiction, was an Observer ‘Book of the Year,’ and a New York Times Book Review ‘100 Notable Books of the Year.’ The New York Times called it: “A book of such ambition and consequence that it is almost unreviewable … the most momentous and contentious environmental book since ‘Silent Spring.’” The Shock Doctrine was published worldwide in 2007 and translated into over 25 languages. It won the inaugural Warwick Prize for Writing and was a New York Times Critics’ Pick of the Year. 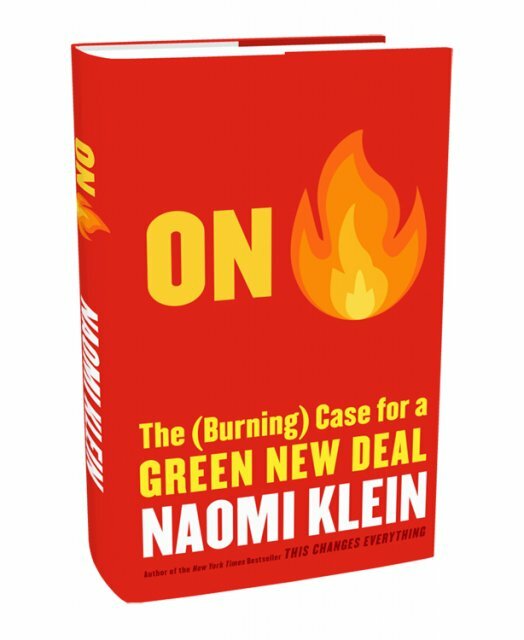 Rachel Maddow called The Shock Doctrine, “The only book of the last few years in American publishing that I would describe as a mandatory must-read.” Naomi Klein’s first book No Logo was translated into over 30 languages with more than a million copies in print. The New York Times called it “a movement bible.” In 2016, The Guardian picked No Logo as one of the Top 100 Non Fiction books of all time. Time Magazine named it one of the Top 100 Non-Fiction books published since 1923. Since This Changes Everything was published, Klein’s focus has been on putting its ideas into action. She is one of the organizers and authors of Canada's Leap Manifesto, a blueprint for a rapid and justice-based transition off fossil fuels. The Leap has been endorsed by over 200 organizations, tens of thousands of individuals, and has inspired similar climate justice initiatives around the world. Klein is a member of the board of directors for climate-action group 350.org. In 2015, she was invited to speak at the Vatican to help launch Pope Francis’s historic encyclical on ecology, Laudato si’. Klein is the Senior Correspondent for The Intercept. She is also a Puffin Foundation Writing Fellow of The Nation Institute and contributor to the Nation Magazine. Recent articles have also appeared in The New York Times, The New Yorker, The Boston Globe, The Guardian, the London Review of Books, Harper’s Bazaar, and Le Monde. In September 2018, she was named the inaugural Gloria Steinem Chair for Media, Culture and Feminist Studies at Rutgers University (New Brunswick, NJ).